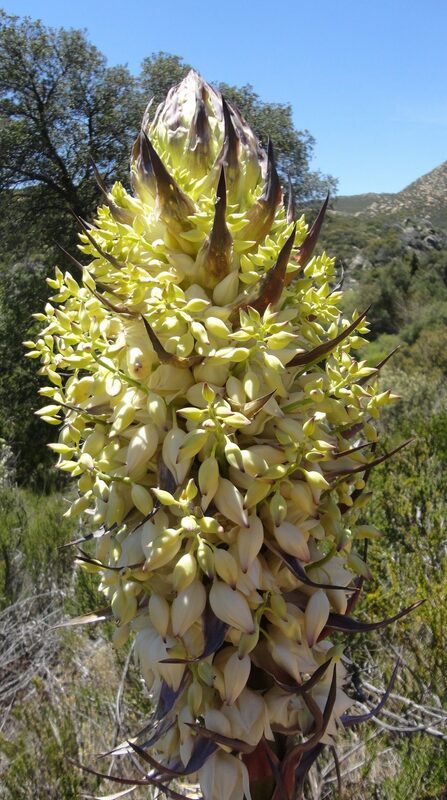 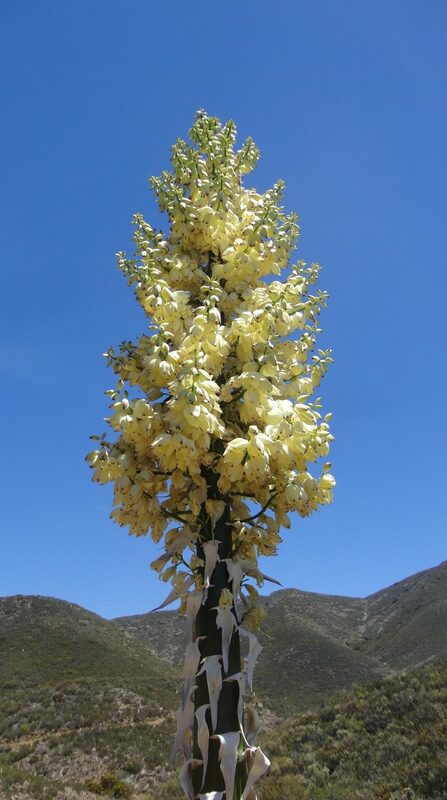 It’s that time of year here in the far reaches of the Colorado Desert: yucca flowering season. 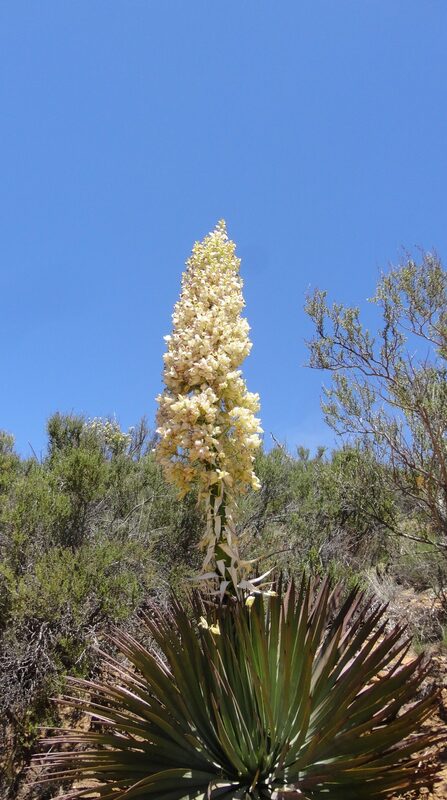 The creamy petals set against the beautiful blue sky light the way like beacons. 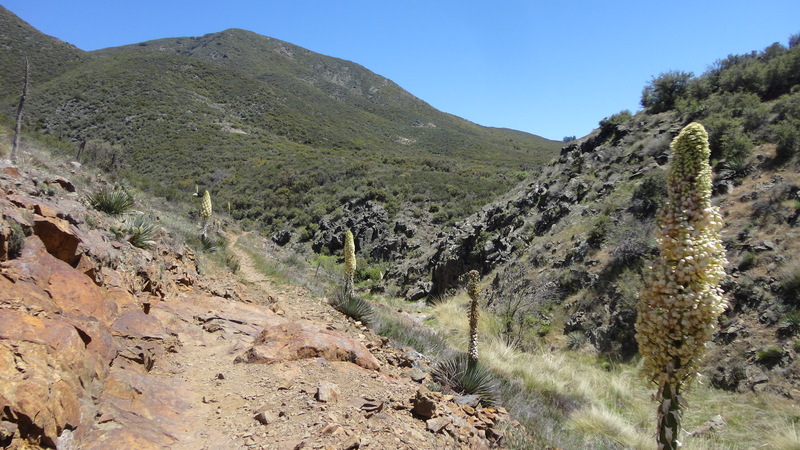 You can’t get lost when you’re on Yucca Road.